MOSCOW, September 4 (RIA Novosti) – The Russian Defense Ministry has announced a tender for the delivery of a fuel tanker with a maximum contract price of 3.08 billion rubles ($90 million). 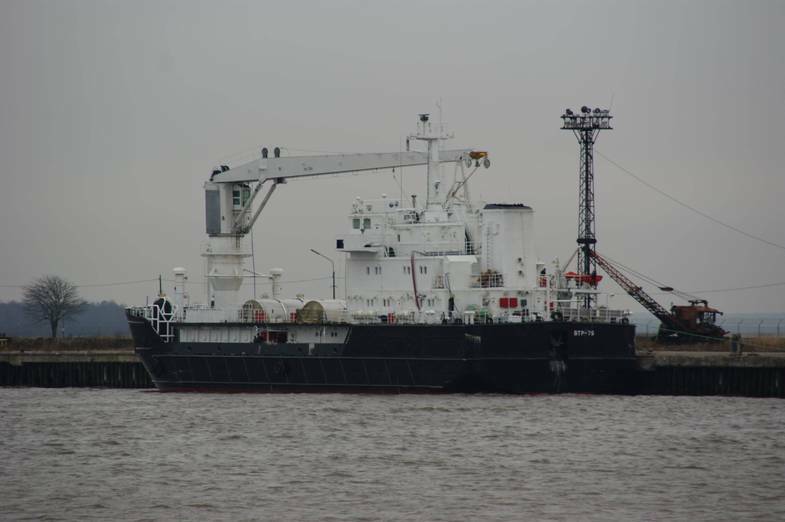 The Project 23130 medium-sized tanker will be designed to store and transport fuel as well as dry cargo, and provide support to surface ships and submarines in peace time and in wartime, the Defense Ministry’s procurements arm said in a press release. The tanker should be 130 meters long, 21 meters wide and have a displacement of 14,000 tons. It should have a range of no less than 8,000 nautical miles, a cruising capacity of 60 days before refueling and be operable by a crew of 24. 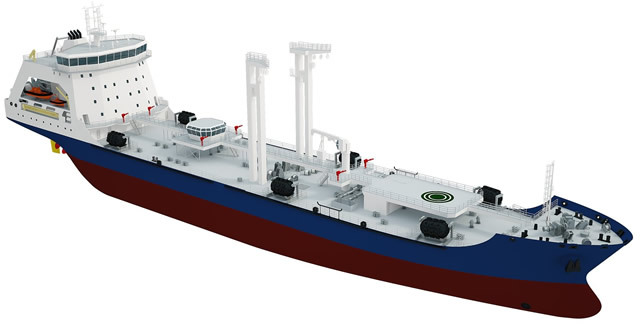 The tanker is to be delivered before October 2016. Bids will be accepted by September 24. The tanker/support fleet of Russian navy definitely require new ships and probably that is one area where not much is said about. So is there any new fleet tanker project going on?? Russia had offered their tanker design during Indian Navy's tender for fleet tanker few years back in which the Italians won the contract. Any info on the project number and picture of that replenishment ship offered by Russia would be very helpful. thanks for the 636.3 launch photos. But no side profile photos. Any photo that show side profile slightly angled from top? Dima wrote: The tanker/support fleet of Russian navy definitely require new ships and probably that is one area where not much is said about. So is there any new fleet tanker project going on?? There was I think in 2012 article claiming that by 2020 Russian Navy will get 100 tug bouats, salvage and supply ships but there was no mention of how many of which type. Can you check if there is any specific details regarding the supply/replenishment tankers? Atleast any info on the tanker that was proposed by RosobornExport in the Indian Navy's tender would be a good lead. I can see almost all class of ships from harbor tugboats to aircraft carriers that are either being planned or already under construction but no details regarding the supply ships. These are vital assets that are needed for sustaining a blue water fleet. But I dont see due priority being given. Even during the 2013 IMDS, I couldn't see any Russian models though there were German tankers on display. If anyone come across with any info on these ships, plz do post it. Dima wrote: Can you check if there is any specific details regarding the supply/replenishment tankers? Atleast any info on the tanker that was proposed by RosobornExport in the Indian Navy's tender would be a good lead. I can see almost all class of ships from harbor tugboats to aircraft carriers that are either being planned or already under construction but no details regarding the supply ships. "First of all, such ships will be in need for protection of gas producing platforms in the Stockman deposit area, he explained. "The state arms program does provide procurement of such kind of ships, including supply vessels", said the Russian Navy's spokesman. " Thanks for the effort Viktor. But what I meant and what I'm looking for is the replenishment tankers to sustain the fleet at sea. Thank You Viktor that you remembered it and for the Bastion link. Its definitely good news even though the tanker is smaller in capacity. That 60 days endurance is really good and this is definitely going to help the new frigates (11356 & 22350) & corvettes (11661 & 20380) in maintaining longer combat patrols in areas of interest. But what I'm still looking for is the larger tankers and particularly the model which was offered for Indian Navy's tender, in which the Italians bagged the order as lowest bidder but with lower quality steel. Two solemn ceremonies have been held at one day. 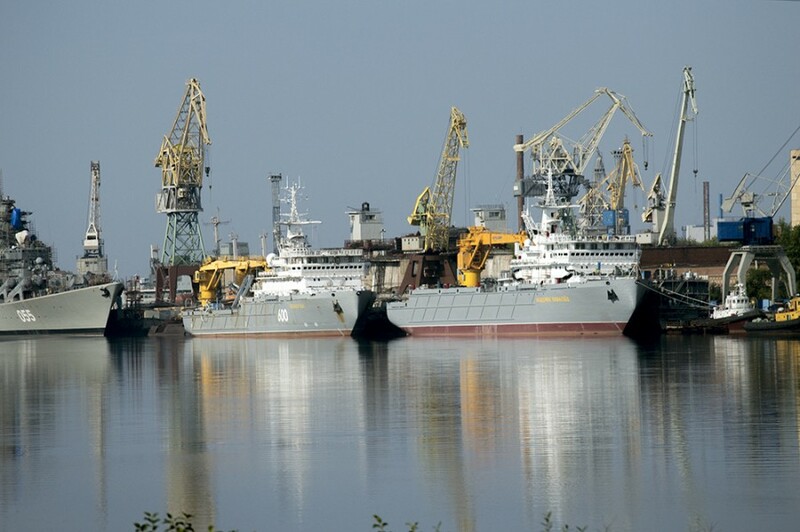 Nevsky Shipyard decided to test such unusual mode to report on Customers. On April 26th, 2014, two ceremonies took place at the Shipyard: the keel-laying of the medium-sized sea tanker “Academician Pashin” of 23130 project and the launching of the dry cargo vessel “NEVA-LEADER 8” of RSD49 project. Solemn ceremony of the sea tanker keel-laying took place in the covered shed. There was a traditional christening of the base section of the tanker during the ceremony. After that honourable guests secured the Keel-Laying Board to the base section. 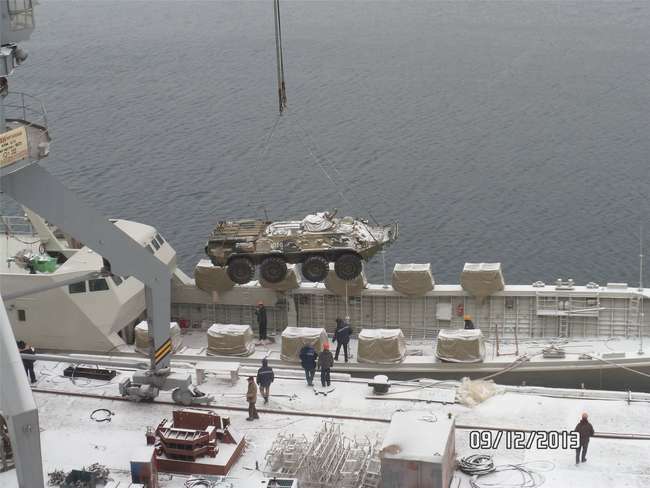 The construction of the ship is being carried out in accordance with the State Contract for the Ministry of Defence of the Russian Federation. The project is developed by Spetssudoproect, JSC. Under the signed State Contract the tanker is to be delivered in the end of 2016.
and... Nevsky Shipyard started the sea tanker construction on 19th Feb 2014. Nevsky is probably going to concentrate on two military/dualpurpose products as shown in the below banner. One being the project 23130 medium tanker and the other being the Project MPSV07 rescue/salvage vessel. which submarine is being towed, Vietnamese 636? Minesweepers, other Auxilliary/small surface vessels, and new naval innovations. I figured that the Navy section needed a thread on smaller vessels and innovations not typically covered in the "News" thread. Great topics include the rather overlooked Alexandrit, project 10750e etc. If you'd like, the Ivan Gren and other landing ships could be talked about here. As for innovations, new composites used for hulls (like the Alexandrit) of smaller ships etc should be mentioned. Let's start this thread off with a question. Does anybody know more about the vacuum-infused fiberglass body of the Alexandrit? It is said to have been shaped (whatever that means) in only a day and a half, which is said to be a world record. I just thought of a great, rather unknown topic that *could* have a huge influence on the Russian navy in the future... Forged carbon fiber! If you don't know what it is, forged CF is a mixture of carbon fibers held together via a resin. Unlike typical "fibers", it isn't woven, and it is instead "baked" together with the help of the resin and is "forged" (stamped) to the desired shape. This allows it to be easily produced in large quantities at a low cost, something regular woven CF can't claim... In fact, the tub of a Lamborghini Sesto Elemento takes only 8 and 1/2 minutes to forge, imagine this technology on ships! Back to the topic, forged CF is 60% lighter than steel while being 600% percent stiffer! Not only that, but it should be stronger per amount of weight than Titanium, which is huge (if you can't tell already, I'm hyped about this stuff)! Keels could be *produced* (!) by the hour, while the rest of the hull could probably be assembled in smaller pieces within a couple of weeks. As if all of that isn't enough, the process of making forged CF produces under 1% waste, which is 50% percent less than other kinds of "fibers", fiberglass included. It can use the same paint as steel, which most composites aren't capable of... Most importantly, forging CF hulls, structures, and keels means no welding, which quickens the production process, and it also allows for less reliance on Titanium and other metals used in shipbuilding. I assume that some form of additive, either in the resin and/or carbon could be used to lighten and strengthen it even further. - Carbon nanotubes? This technology has the capability to reduce ship building time from years to months, while being more efficient, resourceful, and economically smart at the same time. Anyone ever hear of the Scorpion p. 12300? 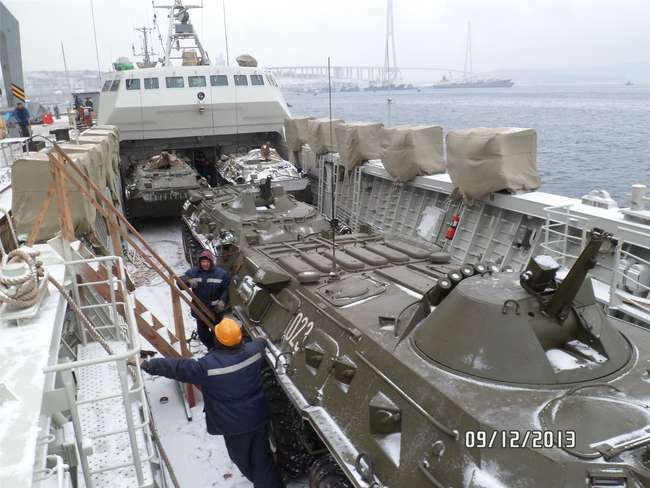 It looks like a vry caapble fast-attack craft, with an A-190-5P-10E gun, a single Kastan CIWS, and either four "Yakhont cells" (I assume they are UKSK) or eight KH-35 cells. Any updates on the development and induction dates of any of the following Russian Navy/Border Guard ships ? I thought it is a research vessel... Or is that just a mask?